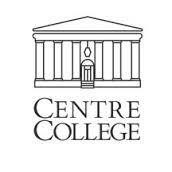 Centre is a top-50 liberal arts college that attracts bright, highly motivated students from around the country. It is the kind of school that provides extras (leadership training, real-world preparation for career success, a global perspective) that cause our students to lead the nation in loyalty. After graduation they give financial support at a rate higher than those of any other college or university. The Washington Post calls Centre one of the premier intellectual gathering points in its region.̦ Centre̠s education is personal. You will make choices about internships, study abroad, joint research, completing one or two majors in four years, or even designing your own major that reflects your talents and interests. Your teachers will ask you to do your best and work one-to-one to help you achieve success in an exciting, stimulating environment. Your fellow students also enhance your Centre experience. They̠re bright (winning top national awards, including Rhodes, Fulbright, and Goldwater), fun- loving, and friendly. You will form relationships that last a lifetime.